This week’s headline items: the first Quarter Moon in Aries becomes exact early Monday; the Uranus station ends on Saturday; the Sun changes signs from Capricorn to Aquarius early Sunday; the Lunar Eclipse in Leo becomes exact on Sunday night. There will be four Moon VoC phases this week: Monday late morning (for a little over 2.5 hours), Wednesday early afternoon (for almost 6.5 hours), Friday evening (for a little over 2 hours) and Sunday late evening (for 2 hours). 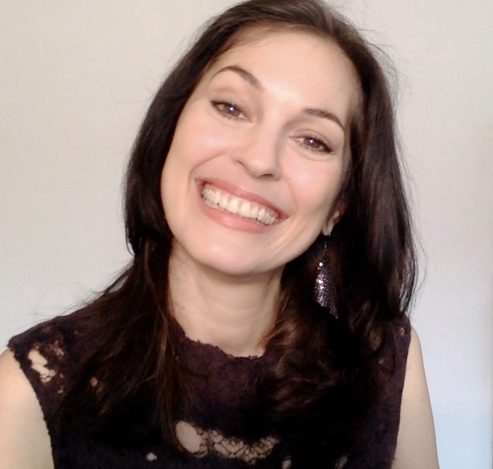 1) If you missed my Interview with the lovely Sylvia-Anais from Healers Speak about 2019, feel free to check it out here. 2) Last chance to sign up for this week’s Forecasting Forum! This will be the first FORECASTING FORUM of the year! Live this Tuesday (Jan. 15th) at 11am PST/2pm EST/7pm GMT (London-time). Please note that we’ll talk about the current Eclipses in relationship to our own birth charts! What needs your focus for the next 6 months? What is coming to fruition? If you want to align yourself with these potent energies, join me live or sign up for the mp4-video presentation. Other than booking a reading with me, this is the highest level of support you can get — and it’s only $37 for the 90+ minute webinar (plus, it also includes this month’s powerful Full Moon/Lunar Eclipse video, for anyone who is not yet a Member of my online community). To join for FREE every month, become a Star or SuperStar Member on my site. To register for this month only, click here . If you would like to join live, please keep in mind that registration will close an hour before the live event begins, if you register after 1pm EST on Tuesday you will receive the mp4-video presentation of the webinar. If you are a Star or SuperStar Member already, please check your email on the day of the webinar! Monday: the Moon remains in pioneering, fast-paced Aries until 1:31pm EST. Life is an adventure, we’re more open to new ideas, and have great enthusiasm for new projects. Patience is certainly not our strong suit at this time, but we can decide quickly, and act immediately. Monday very early morning, at 1:46am EST, the first Quarter Moon in Aries becomes exact. If you are already a Member, feel free to click here and see Sunday night, Jan. 13th for more details. Monday morning, an opportune Mercury/Neptune aspect becomes exact at 8:13am EST. We started to feel this aspect from last week, Saturday evening (Jan. 12th) on; it will remain strong until this Tuesday evening. This aspect gives us the opportunity to bring compassion and an intuitive approach to our thinking process. Having faith and connecting to our Higher Selves will be of service to us at this time. Any artistic or spiritual endeavors are likely to do well at this time. Music might help us with our thinking process and ability to get things done. Let yourself be inspired! A book, a song, a movie, someone else’s words allow the Universe to speak to you. Open your mind to a higher vibration — and remember, opportunities are openings… they aren’t necessarily handed to us… we have to “take” them and make something of them. Do you have your Ascendent, Career Point (or any personal planets) in 12-17 degrees of Capricorn, Pisces, Scorpio or Taurus? If so, you may be more aware of this opportunity.This is also true for those of us who have our Ascendant or Sun-sign in Gemini, Virgo or Pisces (Mercury is the ruler of Gemini and Virgo; Neptune rules Pisces). Monday at 10:56am EST, we enter a Moon Void of Course (VoC), that last for a little over 2.5 hours, until 1:31pm EST. Use this intuitive time to connect with people that can enthusiastically support your projects and share with them what you have going on. As always with a Moon VoC, as best as you can, don’t start anything brand-new, stick to routine things, or simply go with the flow. You may also want to plan Monday late morning/early afternoon ahead of time. “Thank you for such an informative webinar Sonja. Happy Holidays!” — Winter W.